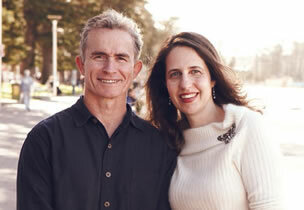 When the Sydney English Academy was established in 2001, it was the realisation of a dream for its founders Mick Edwards and Samantha Milton. With a combined work experience of 25 years as English language teachers between them, they had long dreamed of owning and running their own boutique style English school. Finally they found the right location and starting with just one student (lucky Tomoko!) the dream became a reality. Since then SEA has taught many thousands of students from more than 30 countries around the world. Though the business has grown its goals have remained the same – to provide excellence in English language tuition whilst providing students with a home away from home. From the moment you arrive at reception you feel that the staff genuinely mean it when they welcome you. They want you to feel part of the family at the SEA, not only because you’ll enjoy it, but also because we know that belonging gives you a sense of security and with the growth in confidence that comes with belonging, your progress in your English studies will improve greatly. Once you belong you can begin to build up relationships with both students and teachers. At SEA we can guarantee you won’t be bored! The personal atmosphere at SEA means you will find it easier to meet other students and to make friends. Many of our students organise weekend trips, nights out and parties. You can’t help but have fun. At SEA the opportunities to enjoy yourself whilst still practising your English just keep coming; from our weekly social activities to Conversation Club, to weekend excursions, we’ve got it all covered. Our social program optimises your time spent in beautiful Manly, with afternoon beach volleyball games and beach barbecues with your buddies; there’s no better place to be. Many of our students travel Australia at the completion of their English course, and when they pop back to say goodbye and we ask them which part of Australia they liked the best, they almost always say “Manly”! So we know we’re in the right place and we know exactly how to ensure you feel part of it. In a boutique school like SEA students won’t get lost amongst the masses, we aim to help each and every one of our students to achieve their goals. Through 4-weekly tests, we track each student’s progress, but we don’t just leave it there. Following the progress test, each student has a 1:1 interview with their class teacher. Our highly-qualified teachers are constantly adapting the class content to meet their students’ needs. By building strong relationships with teachers and students in the school students will constantly be speaking English inside and outside the classroom. We are able to optimise your success because we give you the time and the individual attention you need to get to where you really want to be. The staff were all great, and the teachers were so positive and helped motivate us. I can finally understand Aussie people! This school is AMAZING. I only wish I could stay longer!